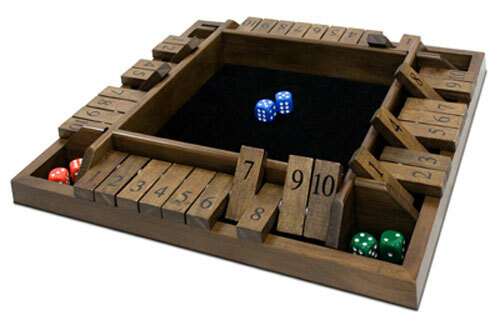 Now 4 players can play the classic game of Shut the Box. A quick and fun family game and a great educational resource for addition and mathematical probabilities. Shut-the-Box is a traditional game of counting, addition, and probability. Dating back to the 18th century, this game was enjoyed by Norman fishermen after a long day at sea. Roll the dice and lay down any numerical combination of tiles that match your roll.